We are so stoked to introduce our new rider to the Enuff team Lanny Belasco! 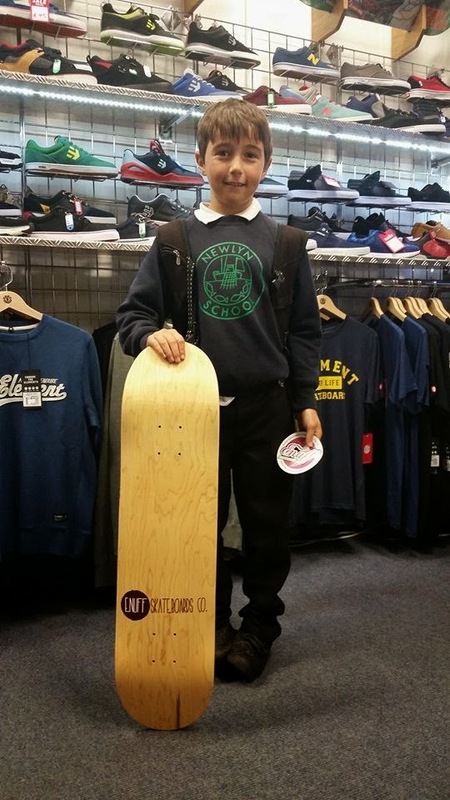 Enuff are all about sponsoring young riders and supporting them throughout their progression in skateboarding, so we are super pleased to have Lanny on board! Lanny was introduced to us by Matt Chivers of South Shore Surf + Skate, Cornwall, and he's also been scooped up by Etnies footwear! 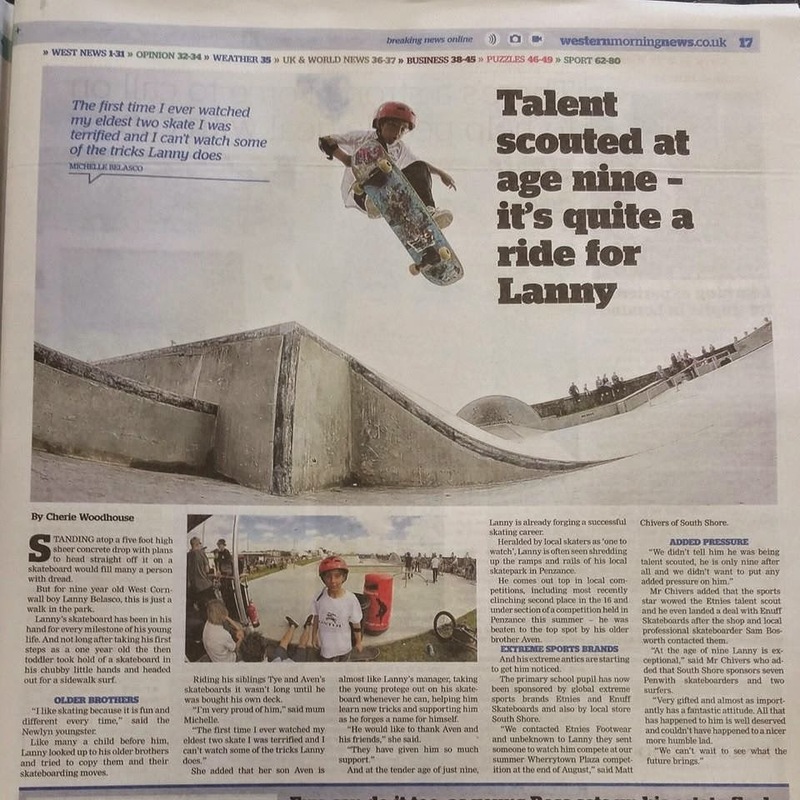 Not only is he now a sponsored skater, but he's also getting a bit of a name for himself in his local area, having been featured in a local newspaper, with another article due out soon! 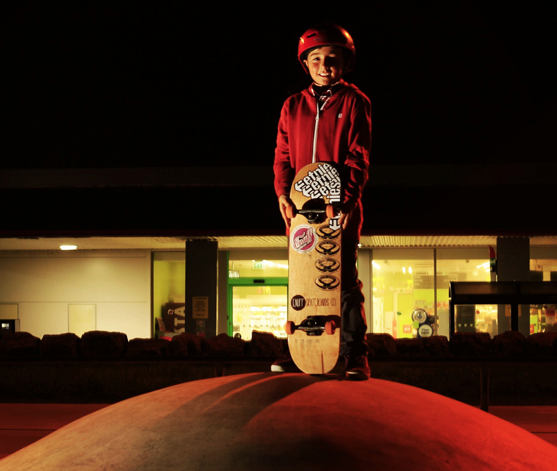 We can't wait to show off some of his skills, so keep your eyes peeled for a video edit coming soon! With thanks to the team at Southshore Surf + Skate.